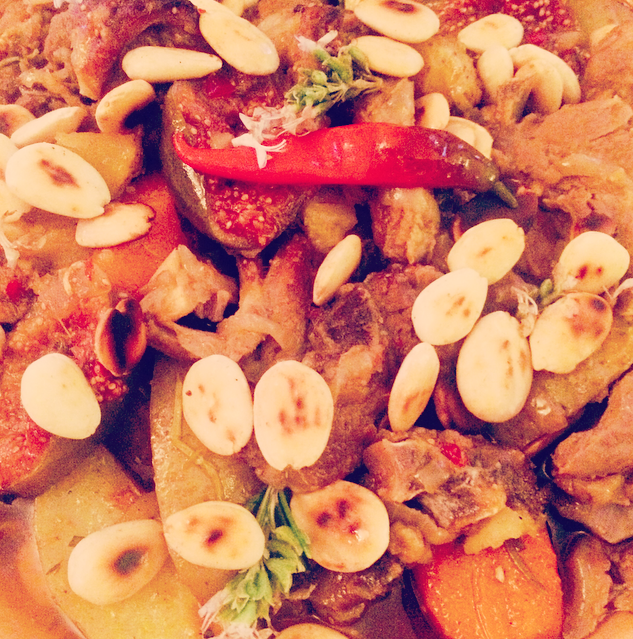 Saturday I made a really tasty Spicy Lamb Tagine. 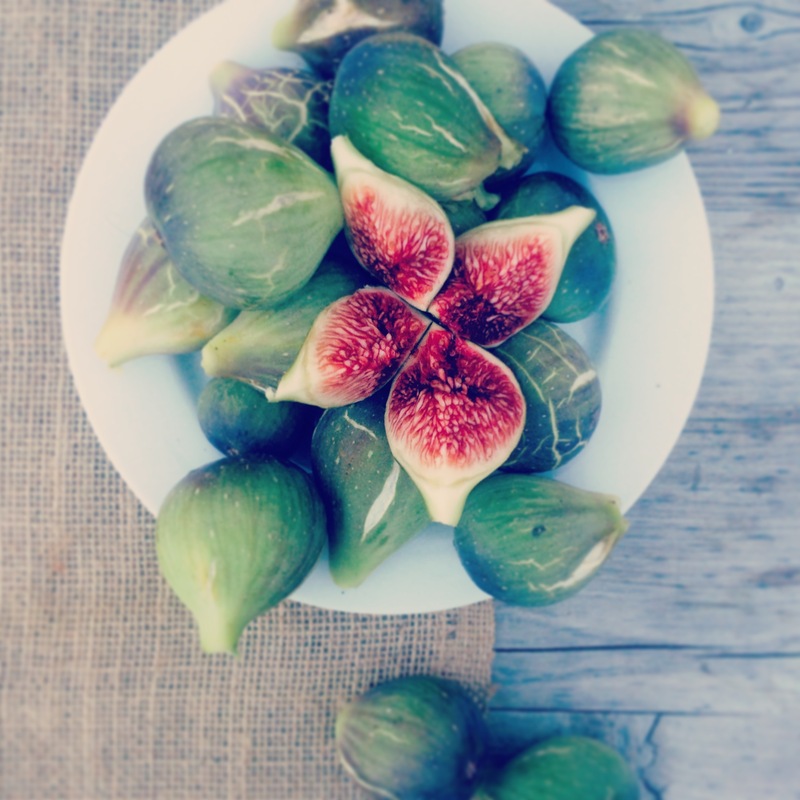 We have lots of figs in the garden that are ready to eat and I wanted to incorporate these into a dish. 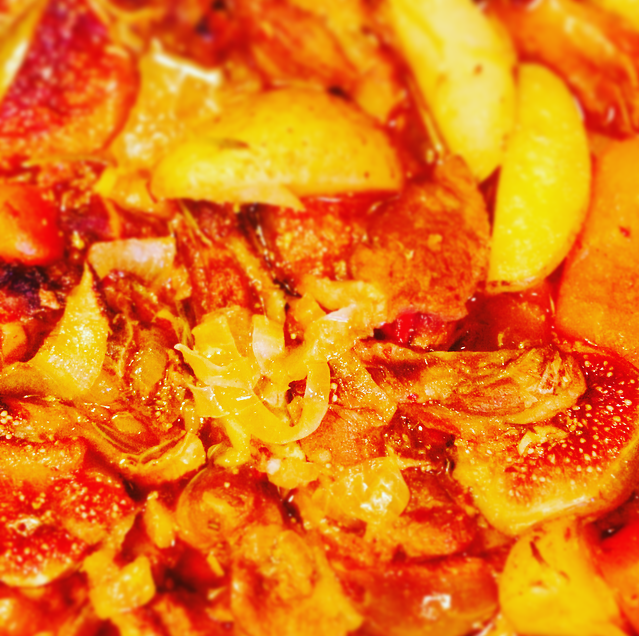 Figs go really well with rosemary and cardamon so I used these ingredients to make a tagine. I do seem to use rosemary quite often when making tagines, but I just the love the flavour it gives the dish. Lamb was the meat of choice for this recipe; it is difficult to get hold of good Lamb here in Spain, I managed to get some lamb cutlets which I chopped into chunks leaving the bones in. This worked really well and as the pieces were small they didn’t take too much time to go tender. I would have like them to be chunkier so you can use diced lamb if you can get hold of it, or chops which are cut a little thicker. 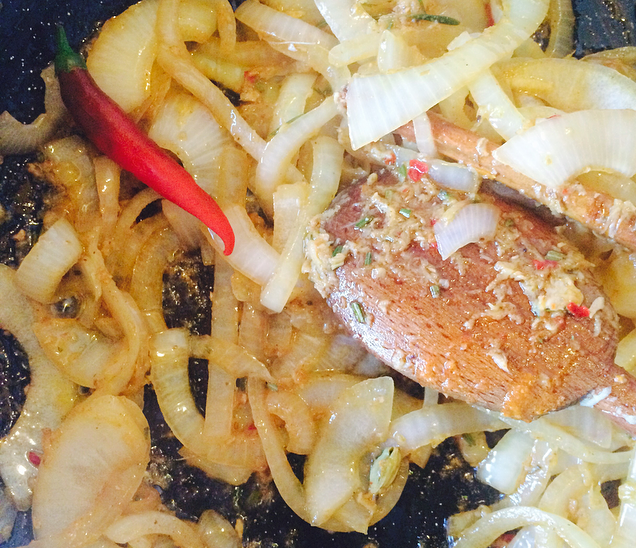 The paste I made to marinade the lamb was inspired by chermoula. 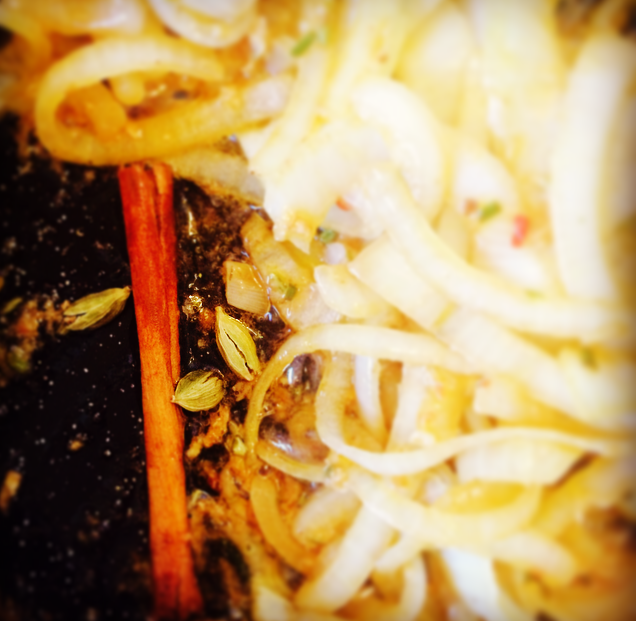 Chermoula is a marinade used in Algerian, Libyan, Moroccan and Tunisian cooking used to flavour seafood or meat dishes. I took the concept of bashing the garlic with salt and adding spices and herbs to create a marinade, but I used thyme rather than coriander as again this herb is great with figs. As the figs are fresh these are added at the end of the cooking time as you want them to keep the shape and not dissolve. 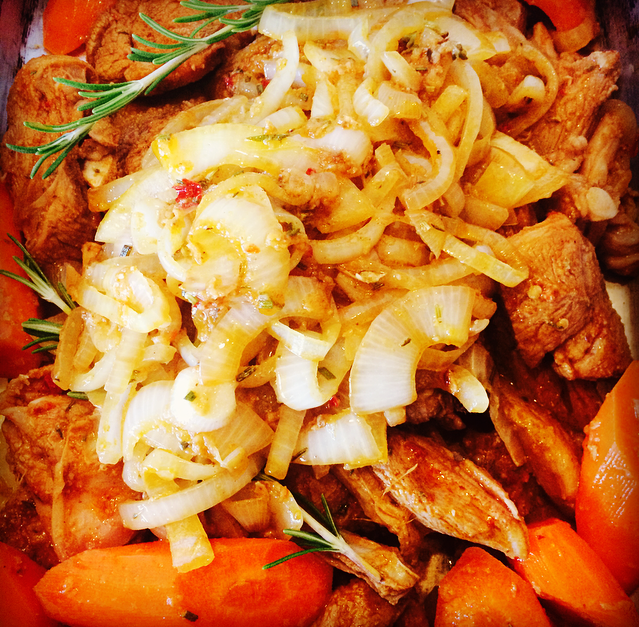 I started on the hob then transferred into an oven dish then I cooked it slowly in the oven, . 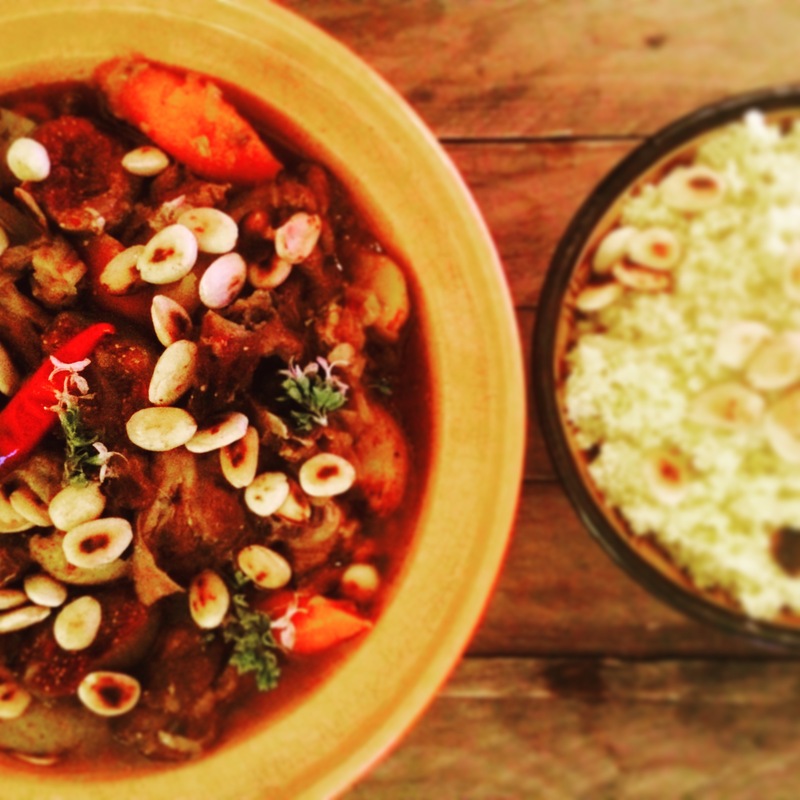 You can use a Tagine…..ours was not big enough 😉 Then it is topped off with a sprinkle of toasted almonds to give a bit of crunch and rosemary flowers for decoration and they taste amazing…yum! 4/5 baby potatoes or 2 medium-sized potatoes cut into wedges, skin left on. Chop your lamb into chunks. 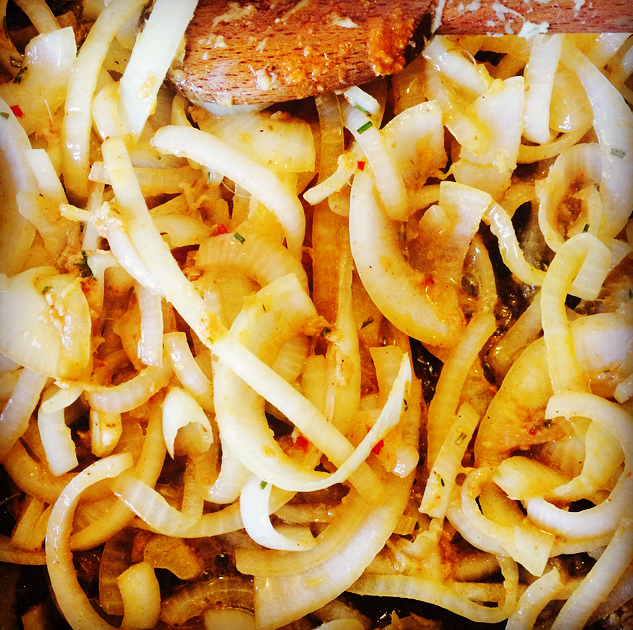 Make your marinade. 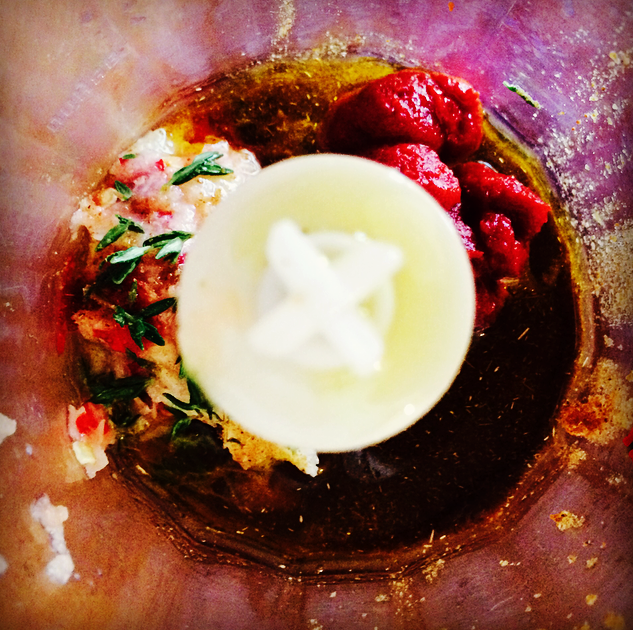 Put the grated garlic and salt into a pestle and mortar and bash until it creates a paste. 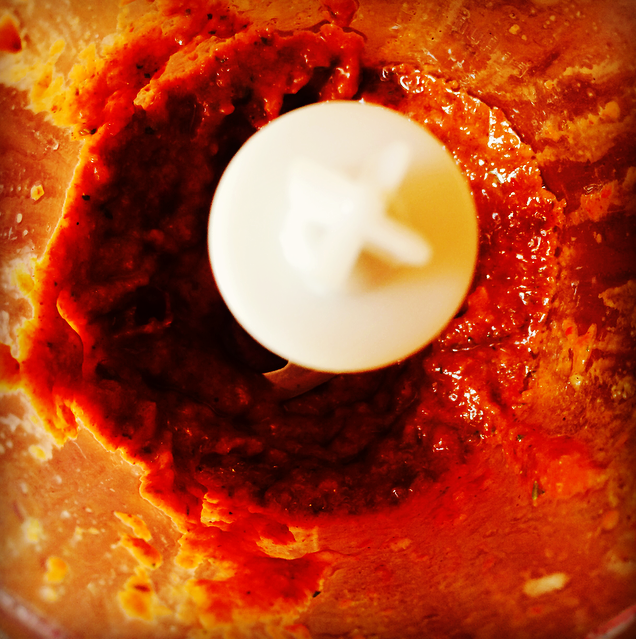 Then empty into a hand blender and add in the chilli, thyme leaves, cumin, oil, tomato paste, lemon juice and blitz to create a red paste. You can do this by hand with the pestle and mortar it just takes a little more effort ;-). 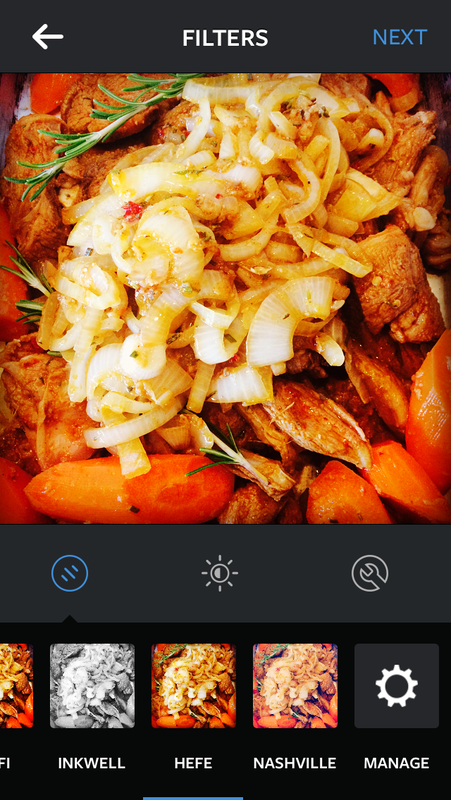 Pour the marinade over the lamb and mix it well, leave for 1/2 hours, or if you have time do this the night before. Once marinated you can start the tagine. Set the oven to the highest temperature. Heat the oil and butter in a deep-frying pan and add in the lamb to brown, you can do this in batches. Try and get a good colour to the lamb. 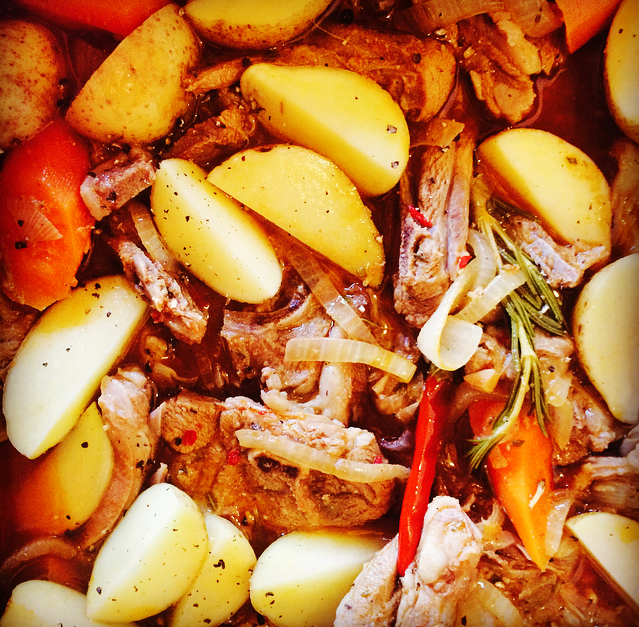 Once you have good colour place the lamb in an oven dish retaining the oil in the pan. 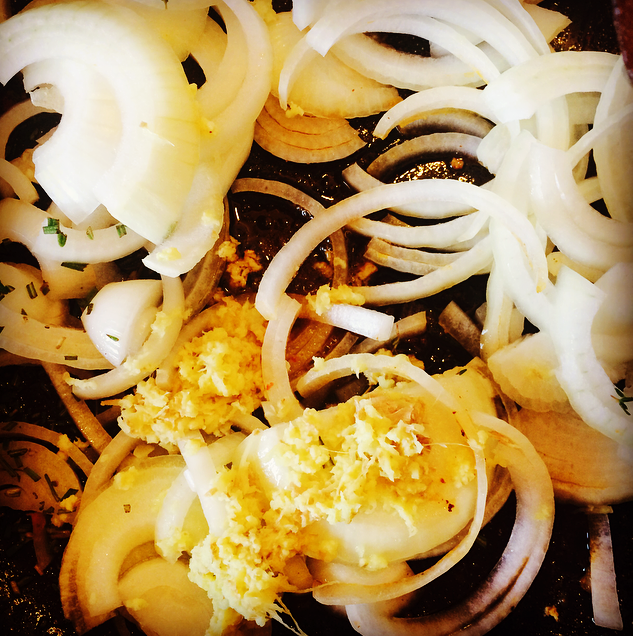 Add in the sliced onion, the chopped rosemary sprig and the grated ginger. Cook until the onions are soft. Add in the cinnamon stick and the cardamons then stir and add the whole red chilli. Cook for another 2/3 minutes. Add this to the lamb. Tuck in the other two rosemary sprigs and tuck the carrots then mix up. Pour in the hot stock, also pour a little water into the hot frying pan to de-glaze and get all of the juices then pour this over the lamb mix. Cover with foil and place in the hot oven. After 20 minutes turn the heat down to 180 degrees and cook for around 45 minutes to an 1 hour minutes or until the lamb it tender. As I used thin lamb pieces I added my potatoes after the initial first 20 minutes, if using chunkier lamb I would add it in a little later once the lamb is nearly tender. Tuck the potatoes in making sure they’re covered with the stock. Let these cook until soft; about 25 minutes. Once cooked remove the foil stir well and taste as it might need more seasoning then place the figs in the dish and drizzle with the honey. Turn the heat of the oven back up to high. Cook for another 20 minutes uncovered. 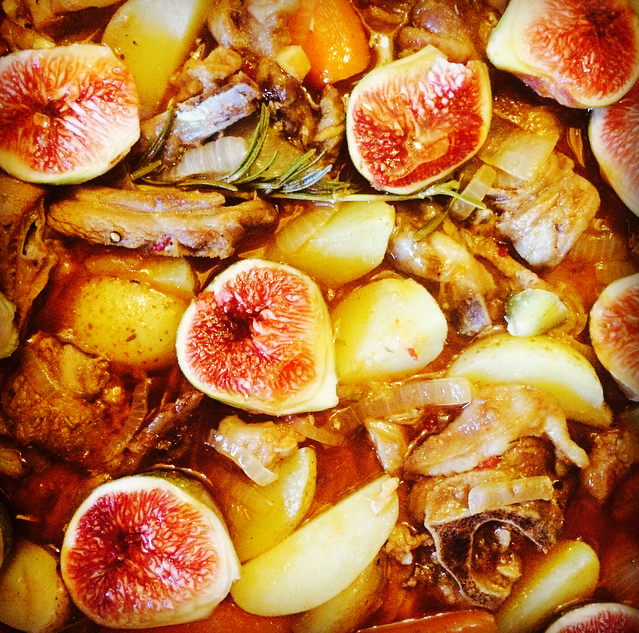 This will cook the figs, reduce the sauce and give the lamb more colour. The honey adds that little bit of extra sweetness. 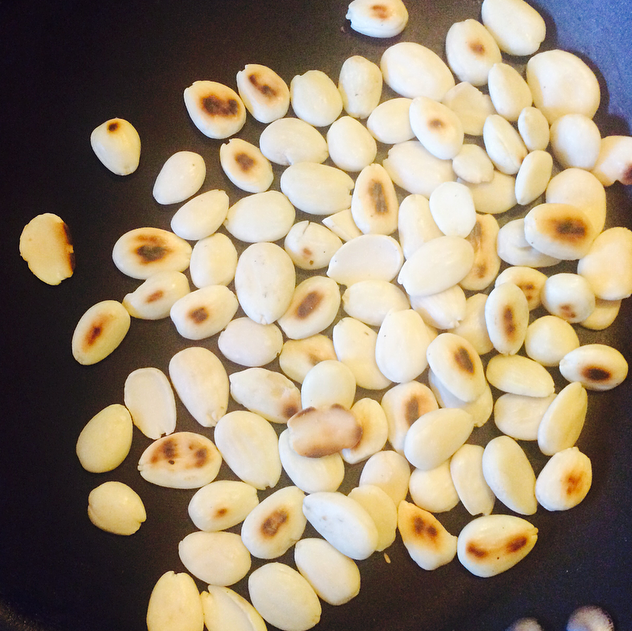 Whilst this is cooking dry fry the almonds until toasted. 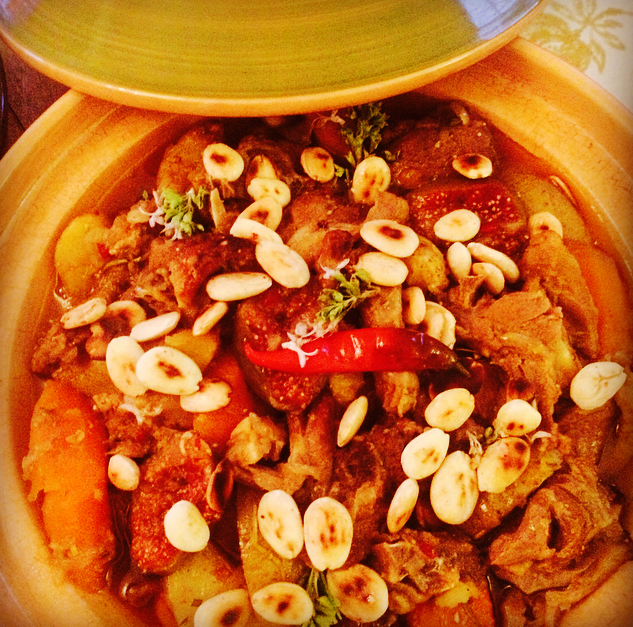 Remove the tagine from the oven place the Rosemary flowers on the top to decorate then sprinkle with the toasted almonds.